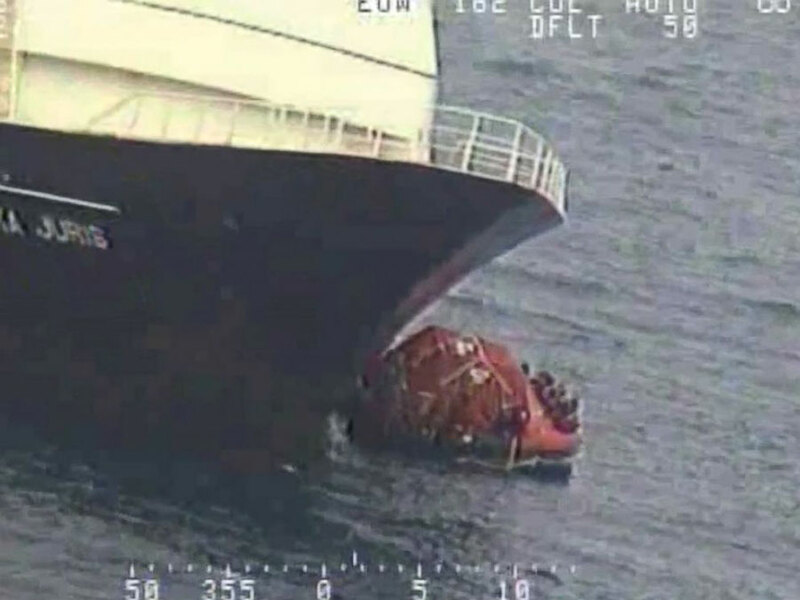 Anchorage, Alaska – A fishing ship sank near Alaska‘s Aleutian Islands, 46 members of the cabin crew were saved by two other ships that are now heading to the port in Adak. The two ships were Good Samaritan vessels and did not report any wounded persons, according to Coast Guard Petty Officer Lauren Steenson. The sunken ship is the Alaska Juris, 220-foot long and 611 ton. On Tuesday all securities’ checkups were done before taking on water. However, around 11:30 the Coast Guard received an emergency beacon regarding the sinking ship, which led the Good Samaritans, Spar Canis and the Vienna Express to speed towards the scene, 700 miles west of Dutch Harbor, followed by two merchant vessels. They found the Alaska Juris’ crew visibly distressed, wearing lifesaving jackets and abandoning the vessel in emergency rafts. The Coast Guard also sent the cutter Midgett, two C-130 transport planes, and two helicopters from Kodiak to the incident’s scene. Coast Guard District 17 command duty Officer Lt. Greg Isbell stated that “the crew of the Alaska Juris did the right thing by calling for help, putting on their immersion suits and safely abandoning the ship […] emergencies can occur at any time in Alaska’s vast and extreme environment”. He also recognized the Good Samaritans’ efficiency in rescuing the crew quickly and safely. The causes of the ship’s sinking are being investigated. However, preliminary reports suggest ‘mechanical problems’ in the boat’s engine room, stated Lt. Joseph Schlosser of the U.S. Coast Guard. The Alaska Juris has been involved in several accidents over the years, starting with the fact that the ship is owned by the Fishing Company of Alaska of Renton, which also owned the Alaska Ranger. 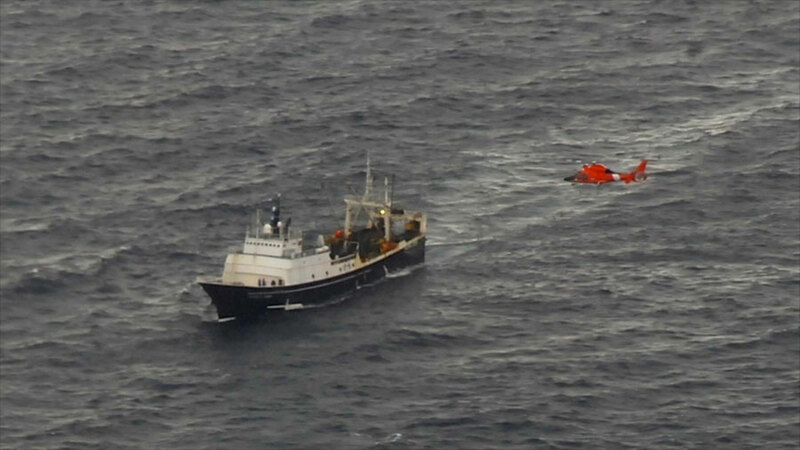 In 2008, the Ranger sank in the Bering Sea, and five members of the crew died. Then, the company acquired the Juris. 2012 was an especially problematic year since in March a crew member was killed when a trawling cable snapped and smashed the young fisherman against the ship’s floor. Days later, another cable snapped hitting a crew member in the head and injuring him. In May, occurred an ammonia leak, affecting three cabin members who had to be airlifted to Anchorage in an emergency. In March of 2013, a box of frozen fish fell breaking another’s fisherman skull, which also required a rescue mission. What is a ‘Good Samaritan’? According to the U.S. Coast Guard, a Good Samaritan vessel is a privately owned ship that gives out aid to other boats in a deliberate way. The Good Samaritans must be trained before hand, to avoid negligence that may put into more risk the lives of the crew members of the vessel with the emergency. This attitude comes from centuries’ of customs since sailors have always helped each other during difficult times. Good Samaritans were particularly valuable in Alaska, where the Coast Guard has limited Search and Rescue (SAR) facilities, and many times have been the difference between life and death for sailors and fishermen.